Over the centuries, Baptists have labored to follow Christ in faithful devotion and service. More recently, they have occasionally partnered with fellow Christians from other traditions in these efforts while learning from each other along the way. 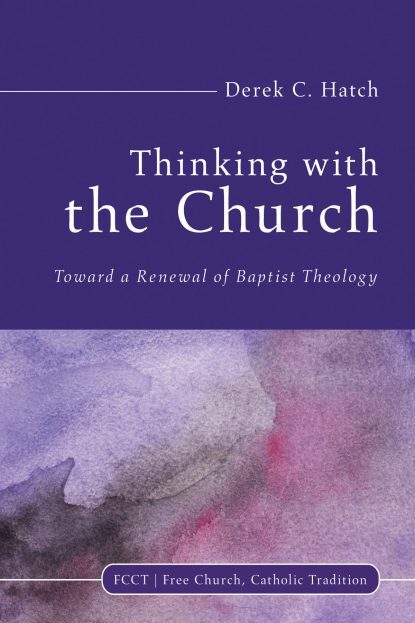 In Thinking With the Church, Derek Hatch argues that Baptists need to follow the same pattern when it comes to their theological reflection, engaging the wisdom of all Christian pilgrims across time. This will require a new theological method–ressourcement–that embraces Baptists’ place within the Great Tradition of the Christian faith. Such work will not abandon long-held Baptist convictions but offers resources for renewing Baptists’ theological vision as they participate in the fullness of the mystical body of Christ.